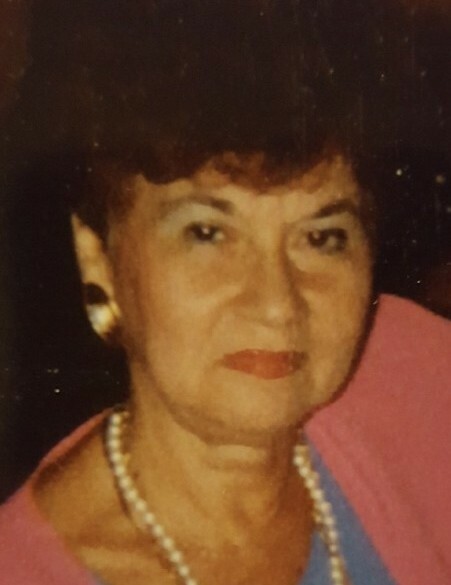 AUBURN | Antoinette (Marinelli) Daddabbo, 86, of Auburn, passed away peacefully Sunday afternoon, Jan. 13, 2019, at Auburn Community Hospital, surrounded by her loving family. She was born in Auburn, the daughter of the late Andrew and Theresa Settembre Marinelli and had been a life resident. “Toni,” as she was affectionately known by her family and friends was a longtime communicant of St. Francis of Assisi Church and active member of their Sacred Heart Society. She previously worked for John Hancock Insurance Company and retired after more than 20 years in the admitting office at Auburn Memorial Hospital. Toni also worked upon retirement at Options For Independence. She enjoyed crocheting and was an excellent cook and baker. If you tried Antoinette’s food once, there was a great chance you were back within days, begging for more. Whether it was her famed Italian Christmas cookies or delicious sauce and meatballs that she just made, it was something that you remembered and savored each time. Besides her cooking, Toni was most happy spending time with her family and friends. She seldom would miss her weekly hair appointment or an engagement with her friends. Toni’s warming smile, golden heart, or impeccable sense of style will definitely be missed and truly never duplicated. A true gem of a woman. She is survived by her loving children, daughters, Annette Feeney, of Skaneateles, and Lisa (Robert) Zapo, of Ohio; sons, Nicholas (Mary) Daddabbo, of South Carolina, and John Daddabbo, of Cornwall; four grandchildren, Sean (Amy) Feeney, Josh Daddabbo, Francesca and Angelica Zapo; a great-grandson, Nolan Feeney; two sisters, Lucy Pagano and her husband, Michael “Duke,” of Auburn, and Sally Gallo, of Auburn; as well as several nieces, nephews, and cousins. In addition to her parents, Antoinette was predeceased by her husband, John in 2000, and a brother, Angelo “Sonny” Marinelli and his wife, Marleen. Friends and relatives are invited to join the family at 11 a.m. this Friday in St. Francis of Assisi Church for Antoinette’s Mass of Christian burial. Interment will follow in St. Joseph’s Cemetery. Calling hours are from 4 to 7 p.m. Thursday at Pettigrass Funeral Home, 196 Genesee St., Auburn. Contributions may be made in Antoinette’s memory to the American Diabetes Association, 356 N. Midler Ave. #4, Syracuse, NY 13206.